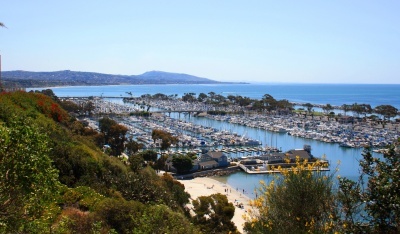 The Dana Point Harbor and its many events held in it, on top of the many activities that come with it, attracts thousands of people a year, and we often get requests for homes and condos overlooking the Dana Point Harbor. There's several condo complexes and neighborhoods with homes that will get the views, so in this page we are featuring the neighborhoods that get those views. Sometimes the houses or the condos won't have an specific 'Harbor View', but we are including them as the neigborhoods will, and the description will indicate the type of views these homes have. Included in the search are the Lantern Bay Villas, Lantern Bay Estates, Admiralty and more. Search all neighborhoods featuring homes and condos overlooking the Dana Point Harbor, currently listed for sale below. For more information about any of these homes please contact us at (949) 888-6788, or by email. Read more about the neighborhoods featuring Harbor View Homes in Dana Point. As far as proximity to the Dana Point Harbor and its views, there's two neighborhoods that top the list: the Lantern Bay Villas ( condos ) and the Lantern Bay Homes. There's also another less known neighborhood - the Admiralty - off Santa Clara Street, which has a nice access to a trail around the bluff that overlooks the Harbor and has gorgeous views of the entire Harbor. Condos overlooking the Dana Point Harbor are pricier for obvious reasons - and always in high demand. Another condo complex that features those - so wanted- Harbor views is located in the Capistrano Beach area. It's called Dana Bluffs. The HOA is the complex includes amenities like pool, spa, clubhouse and tennis courts. If you would like further information on any of these Dana Point Harbor View Homes, including The Admiralty and other communities in other Dana Point areas, or assistance regarding available Dana Point homes for sale, please contact us. 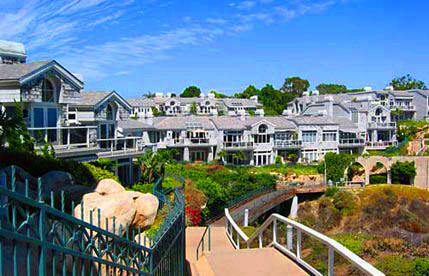 OCExecutives specializes in real estate transactions of Harbor View Homes in Dana Point, California. Contact us today to sell real estate or buy real estate listed in the neighborhoods that overlook the Dana Point Harbor or for more information about any of these Dana Point Homes and Condos. If you would like to see a list of homes in other communities in Dana Point, follow the links above, or click here for other Dana Point Real Estate options.